It is very important to us that bedtime is relaxing, calm, and everyone goes to bed happy. So I am quite happy to use things that make it easier, and more relaxing for my kids. 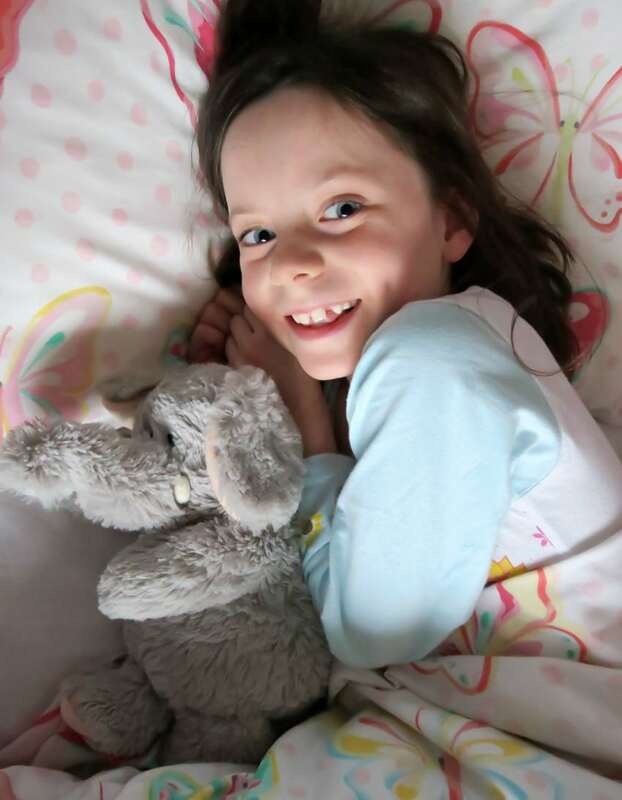 My twin girls love teddies, they would fill their room up with lots and lots of teddies if they could! 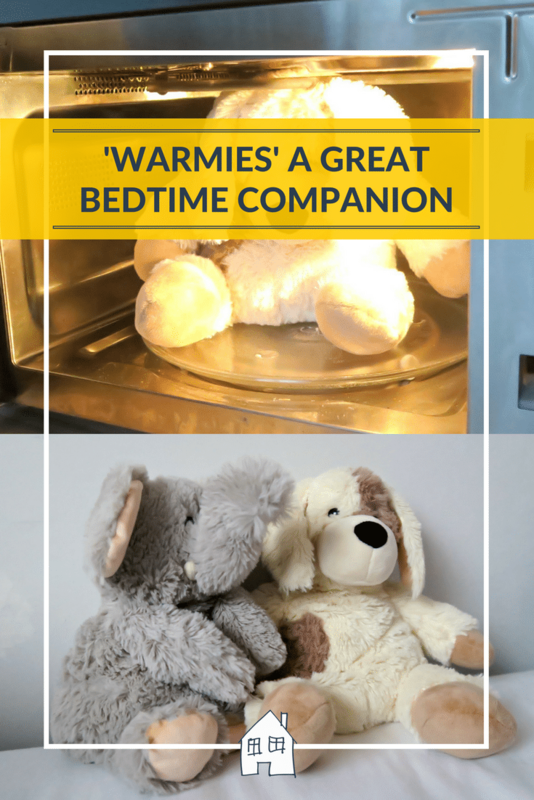 Warmies are a perfect bedtime companion, they can be popped in the microwave and warmed up! The kids were very confused when I first did this! They are filled with Lavender, so they give off a gently scent which is perfect to snuggle up with and relax with. One of my girls was a little hesitant of the smell to start off with, but she soon grew to love it, and now sniff away at them! They love having them to cuddle up in bed with, and I think by having them warm it gives off such a calming effect. I like using a hot water bottle for my back problems, and the girls always ask if they can have one in bed with them! However Warmies are a perfect alternative to a hot water bottle, and so much safer. We received the Elephant, and the cute little Dog. 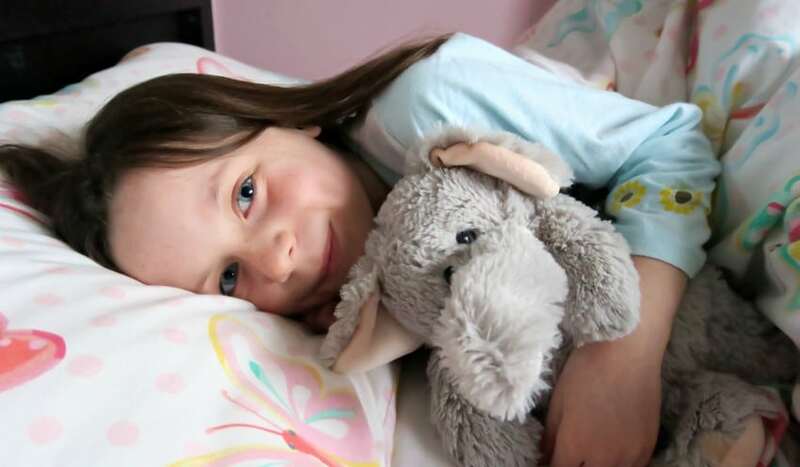 Sofia loves being able to ‘fuss’ the Warmies Dog ears, and Lily loves snuggling up to the Warmies Elephants trunk! 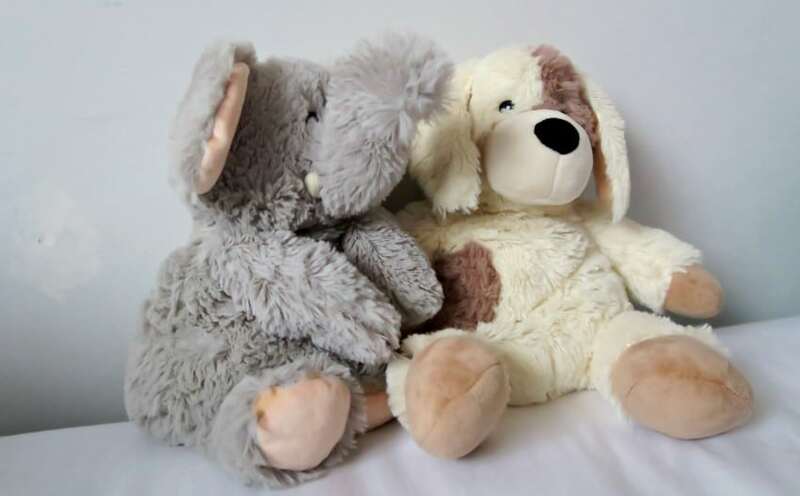 Both are made from a really soft plush fur material, so they are soft to touch, so perfect for cuddles. 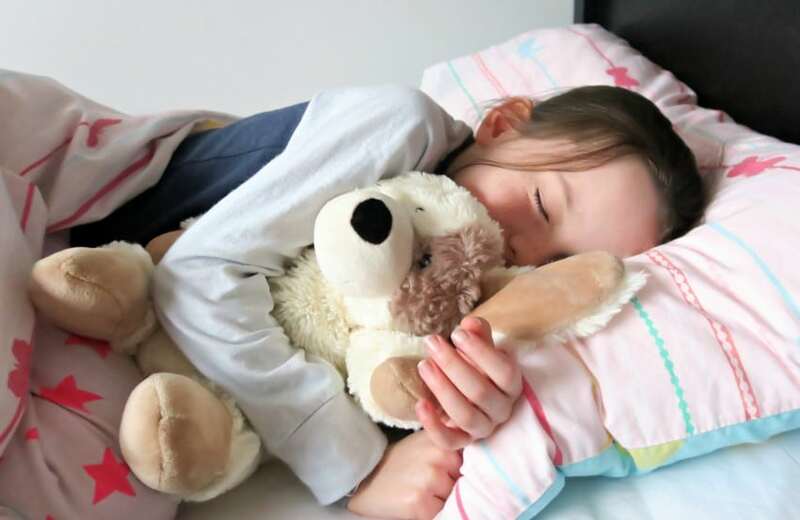 The Warmies brand has a huge selection of different soft toys to choose from, but they also sell a large range of items for adults too. 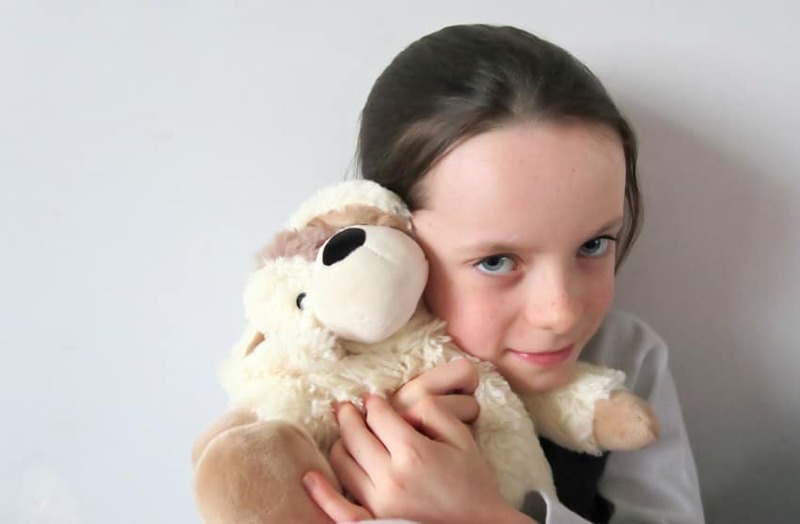 The soft toys are only £14.95 each, which I think is a great price, and would make a great present too. 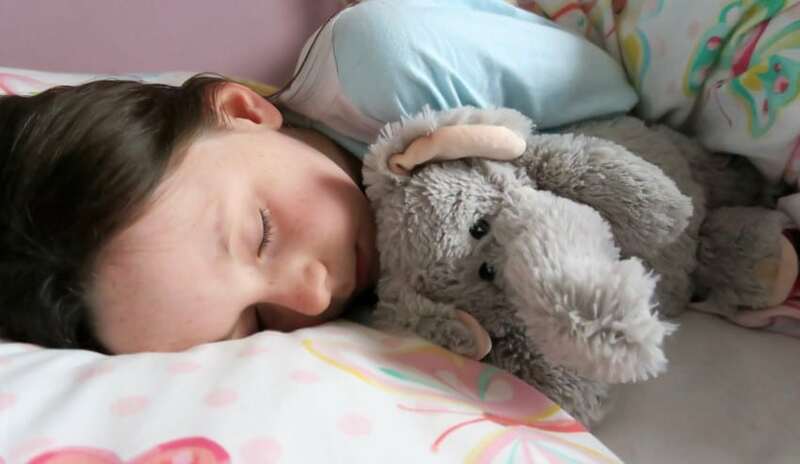 Do you think your child would love snuggling up to one of these Warmies at bedtime? I had one of these abs a child. It smelled of lavender. It was great! 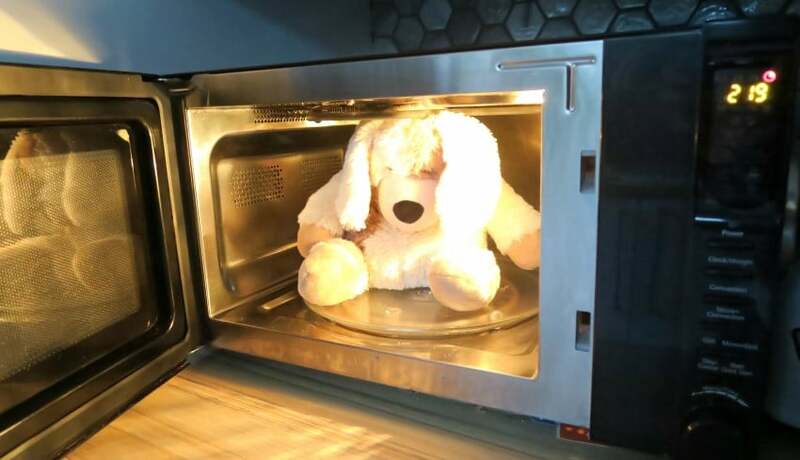 Felt slightly wrong to be microwaving a toy though hehe. It doesn’t seem right and they were very concerned at first!!! Oh they’re just gorgeous – and so much safer than traditional hot water bottles. Thanks, they are so cute aren’t they. Aw my little man loves my hot water bottle but I can’t let him take it to bed. May look at one of these instead! They are great idea instead aren’t they. This is cuddly too isn’t it! These look great – I’d like one for myself I’m always cold!